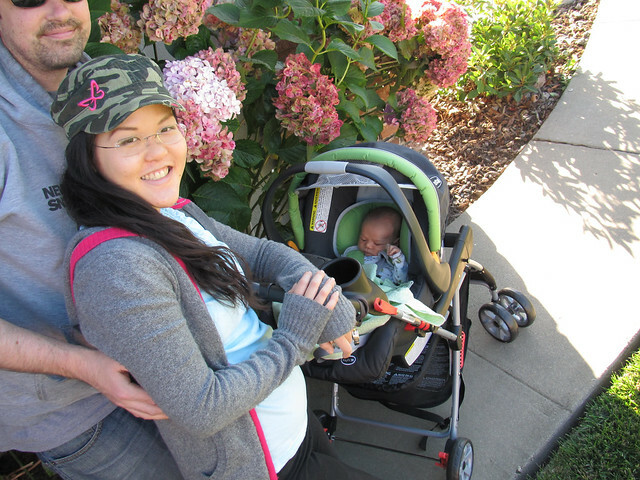 We went on our first walk with Vincent around the neighborhood using his Snap-n-Go stroller. He was doing great at first, alert and looking all around. Then suddenly he started crying and we were only 1/2 way done with our walk! So Jeff took him out of his carseat and walked with him home the rest of the way. Grandpa Mike came with us while Grandma Jerrie and Grandpa Don stayed home. Grandma Lisa and Uncle Pat were out visiting Monterey.